Aussie Natural > Blog > Why Your Ice is Cloudy? Whether you enjoy it crushed, cubed or sculpted, ice is vital to keeping you cool in the hot summer months. While you may enjoy drinking bottled spring water, the aesthetics of your refreshing beverage can be compromised by cloudy ice. So, why does ice become cloudy and is there anything you can do to prevent it? One of the primary reasons why your ice could be cloudy is that the water used to make the ice contains impurities. Although you may be diligent about drinking only bottled spring water, but when it comes to making ice, you may overlook using bottled water. Perth homeowners often simply run their ice tray under the tap, which means that any impurities will find their way into your ice. Microbes, microorganisms, and particles in the tap water get frozen with the water creating a cloudy hue. Whether you ice is safe to drink depends on the quality of your tap water. In Australia and many other first world countries, the standards of tap water are very closely monitored. This means that while your tap water may contain impurities, they are not likely to have any adverse health effects. However, the impurities in your ice may have an impact on how your beverage tastes. For example, if you have hard tap water, the excess magnesium and calcium may create a film on your drink as the ice melts. Additionally, hard water can leave your drinks tasting a little bitter, which may mean that you don’t get that truly sweet flavour of your favourite summer drinks. The simplest way to eliminate the cloudy hue from your ice is to use good quality water to make your ice. By using a purer water source, which does not contain these impurities, you will ensure that your ice is crystal clear. To enjoy the clearest ice, you should use spring water. 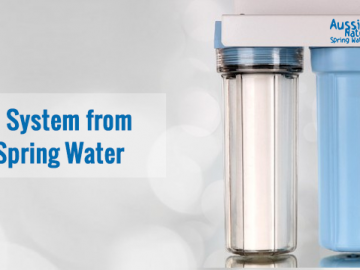 Spring water is naturally filtered to remove impurities without using harsh chemicals or disinfectants. This means that there will be minimal impurities to compromise the appearance of your ice. In fact, many professional ice sculptors only use spring water to make their creations for this very reason. Whether you want to make basic cubes or create wonderfully shaped ice for your summer drinks, you are likely to want it to be crystal clear. So before you automatically reach for the tap to fill your trays, consider using spring water. This will allow your ice to be perfectly transparent, perfect for any refreshing drink. Just remember that you will need to add a little more to your water delivery order to ensure that you have plenty for all of your drinks and ice. 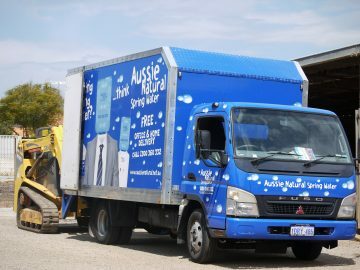 If you are considering a water delivery, Perth residents should speak to us. 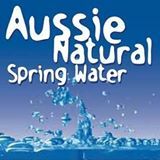 We have amazing quality bottled spring water sourced from the Darling Ranges. 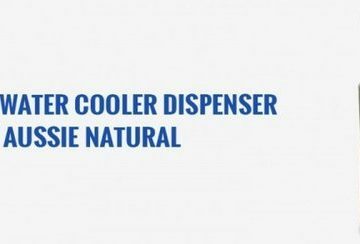 The Aussie Natural team would be delighted to discuss your requirements and arrange your order, so you can enjoy delicious beverages and crystal clear ice throughout the summer.